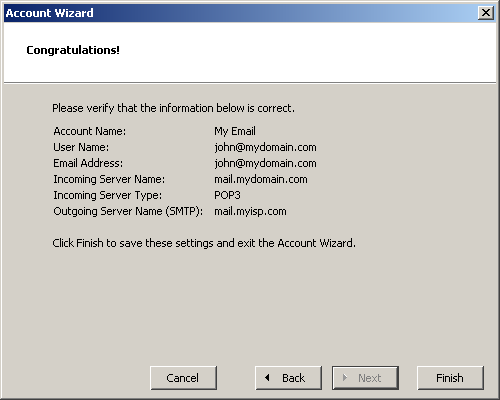 This is the sixth and final screen of the Netscape Account Wizard. It displays a summary of the information that you have entered and congratulates you for completing the process. Review the settings to make sure they are correct and then click the "Finish" button. Click "Finish" in the screenshot below to continue this tutorial.